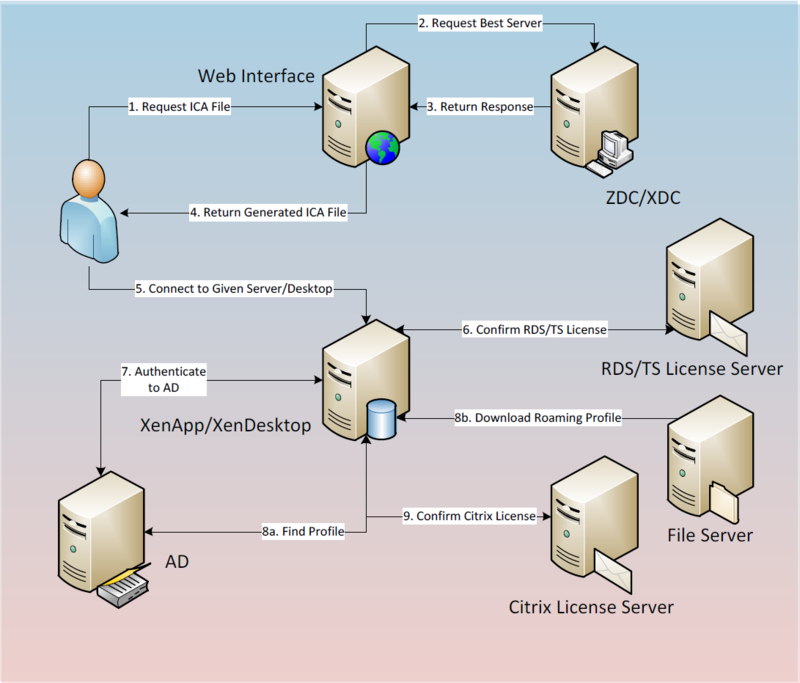 In order to better understand where time can be shaved from the user logon, we will first review the logon process as shown below: Please note that this diagram focuses on internal users accessing either a XenApp or XenDesktop resource. Additional steps are required based on external access via Access Gateway. And it ends with an example of how to monitor this process using Edgesight.